(Francisco Kjolseth | Tribune file photo) RSL general manager Craig Waibel speaks with the media during a press conference in 2017. Waibel says RSL’s rebuild has now entered a second phase, where the club will be looking mainly for complementary pieces to put around its cast of veterans and young, developing players. Over the last several years, Real Salt Lake has focused on developing players from its academy team and USL affiliate, the Real Monarchs. This past season, some of those players became examples of how that model of roster-building can become viable. Corey Baird won the Rookie of the Year Award. Aaron Herrera and Brooks Lennon turned into regular starters. Justen Glad continued to build on his young career, and Sebastian Saucedo had some impactful moments in parts of the season and in the playoffs. But with the offseason in full swing and RSL declining the contract options of 10 players, the organization has started to round out its 2019 roster. It picked up former RSL homegrown player Donny Toia last week in the first round of the re-entry draft, and re-signed longtime veteran Tony Beltran on Tuesday. Those moves are indicative of a multiyear strategy that general manager Craig Waibel says has moved into its next phase. Signing Toia, who spent the last two seasons with Orlando City FC and played only four games, appears to fit with Waibel’s vision. He’s a six-year MLS veteran who is only 26 years old and has room to grow. Toia has played for four MLS teams in his career, including stops in the PDL and UCL. He said all that movement has taught him to keep his focus and continue to prove himself on the field. He added that in all his stops, he feels he has been a good presence in the locker room, as well. “It’s all been a learning experience for me, so I think that’s going to help out big time for me and for everybody else,” Toia said. With Beltran’s re-signing, RSL brings back a veteran about whom his teammates raved for his leadership and guidance, all while recovering from knee surgery and not spending a single second on the field this past season. Lennon in particular said he benefitted from Beltran, who helped him learn the right back position that Beltran normally plays. Waibel called Beltran the “fiber” of RSL, which is the only organization for which the 31-year-old defender has played in his 11-year career. He also calls Beltran as a player who gels well with other teammates such as Nick Rimando, Kyle Beckerman, Albert Rusnák and Damir Kreilach. So far, RSL’s philosophy has mostly panned out. Kreilach and Rusnák have become staples in the starting 11 after just three combined years in MLS, for example. But the organization has also experienced some missteps in recent years. RSL waived forward Yura Movsisyan in March after he became disgruntled with his playing time the year before. And striker Alfredo Ortuño left after playing only three games in 2018. Those departures, as well as the successes, have taught RSL where the player recruitment process works, and where it can be tweaked, Waibel noted. Round 2 of the re-entry draft is later this week, and throughout the season there will be various transfer windows RSL can use to acquire players it feels fill very specific roles. 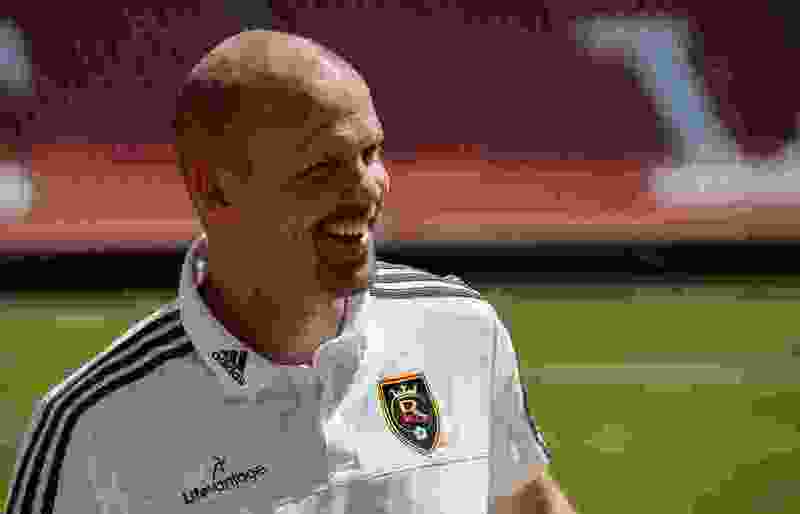 It’s unclear how long the RSL rebuild will last, but Waibel expressed confidence in the trajectory of the club’s model and what that model is capable of producing. In just two years, RSL went from narrowly missing the postseason to coming two goals shy of the Western Conference Finals.